Embattled Brazilian President, Dilma Rousseff has suffered yet another blow as she fights for her political survival. Impeachment processes were initiated against Dilma Rousseff by Brazil’s lower house last year and a congressional committee on Tuesday voted that the impeachment motions continue. It has now paved the way for her possible removal. She will need over 200 votes to prevent an impeachment. Rousseff has seen yet another key member of her coalition government pull out, further reducing her already slim chances of fighting impeachment. The Progressive Party announced on Wednesday that all its 47 members had pulled out of the coalition. They will also vote in favor of Rousseff’s impeachment. 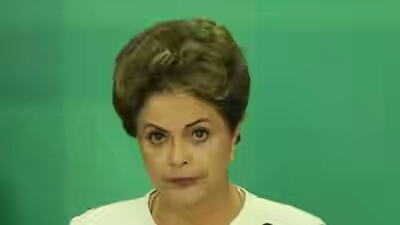 The largest party in her coalition, PMDB also pulled out of her government last month. Rousseff has become increasingly unpopular in Brazil at a time when the Brazilian economy is experiencing its worst recession in decades. A massive corruption scandal at state run oil company Petrobas has implicated many of Rousseff’s allies and many already see her as corrupt. She is alleged to have gone against budgetary laws to secure funding for her reelection in 2014.